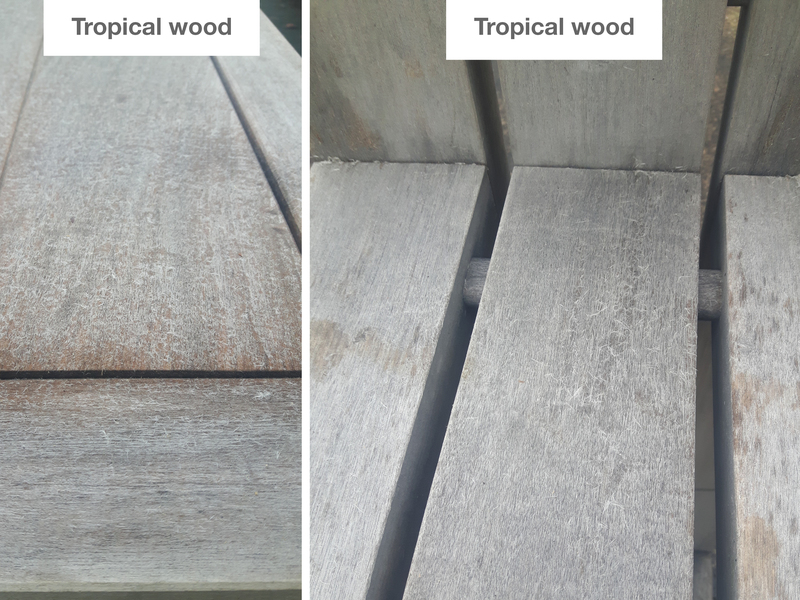 A phenomenon that can arise on all types of wood is so-called furring (fibre fuzz), which is a completely natural process in the timber’s cycle. This phenomenon can arise when the outermost lignin that binds together the fibres on the surface of the timber has degraded. The lignin acts as a type of “glue” between the fibres. The lignin is gradually degraded by the sun’s rays and sometimes arises quickly in locations with strong sunlight. When the wood is then moist for a long period the outermost layer of fibres can loosen and release in the spring. These appears as a type of very fine fibres that release, but the wood underneath is solid. 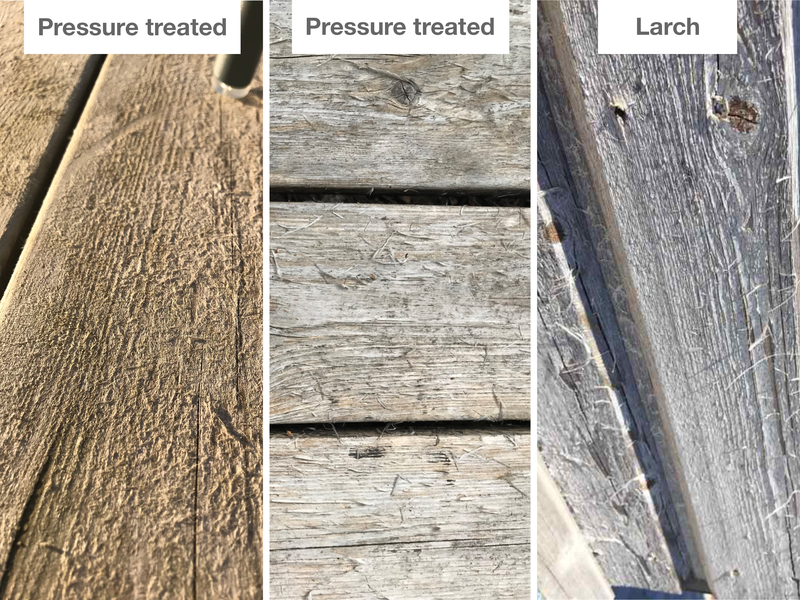 This phenomenon does not affect rot protection or the strength of the timber. Furring is a phenomenon that diminishes over time. The easiest way to rectify the occurrence of furring is to brush (preferably with a brush with short bristles, e.g. scrubbing brush) off the fibres that have loosened/released from the surface, this is done when the wood is dry. 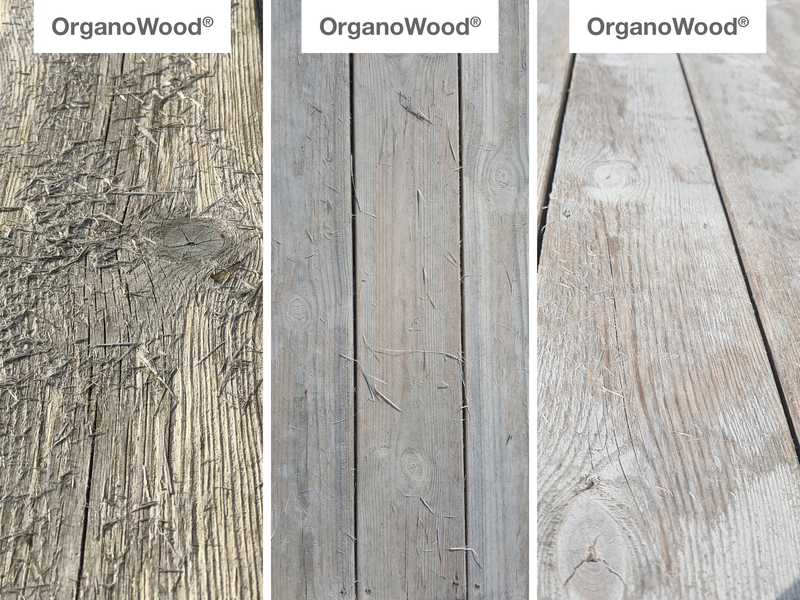 After-treat with OrganoWood® 02. Repellent when necessary. 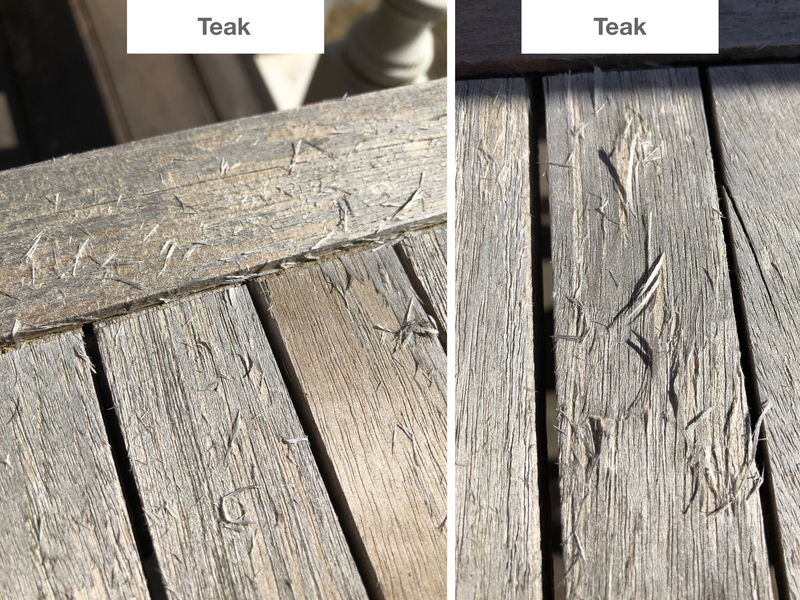 Brushing must occur carefully, if the wood becomes “wood clean” the process can recur in the coming season.